While Michele and the girls were out of town, I was cooking for myself. 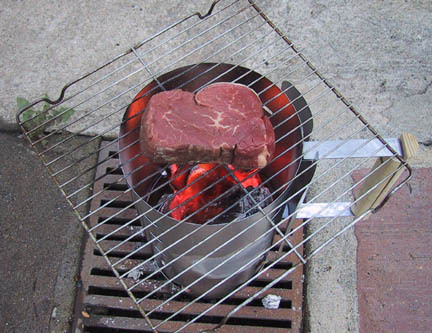 at Barbeques Galore along with a some natural charcoal and hickory wood chunks. I had seen this idea on Good Eats and thought it sounded fun. 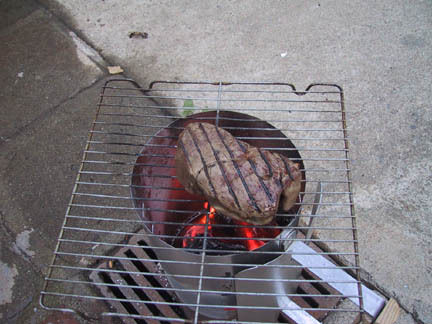 I set up the charcoal starter to be the actual grill. Not the safe spot I placed the setup. I had picked up a nice beef tenderloin earlier. 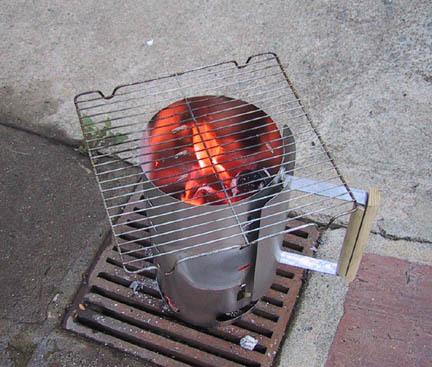 It fit perfect onto my mini-grill. I flipped the meat and saw the beautiful brown color. 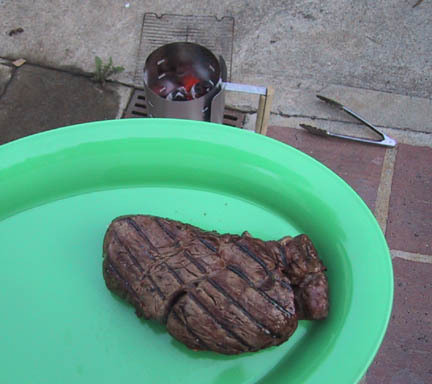 After a few minutes more, the steak was ready to eat. I grabbed a Pilsner Urquel and sat down for a manly dinner. Steak and beer. What else would you want?